A strong team of five runners are entered on home turf at Eagle Farm tomorrow, headlined by Magic Millions runners SKATE TO PARIS and OURS TO KEEP. Having had three weeks between runs since the Magic Millions on January 12, SKATE TO PARIS (pictured) drops back to a Class 3 Plate (1200m) after a creditable fifth in the $1 Million QTIS Open (1300m). 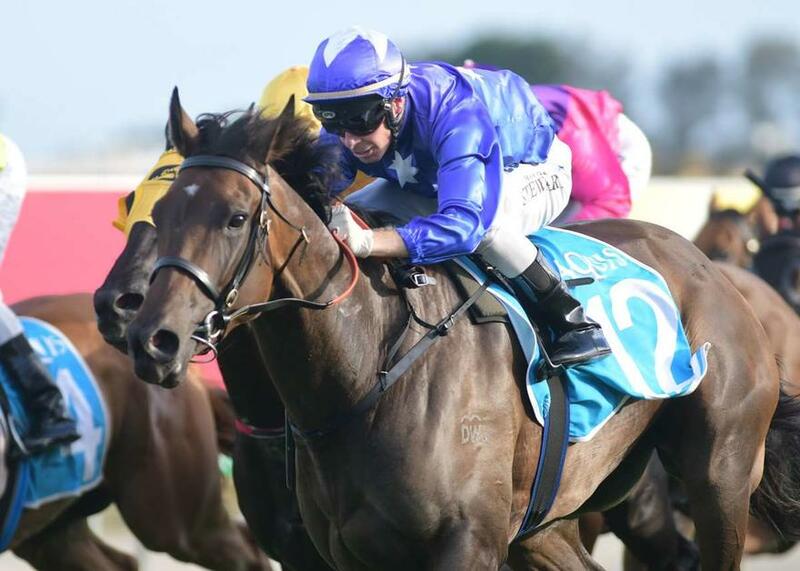 OURS TO KEEP had excuses when finishing well back in the same race on Magic Millions day but gets his chance back on the more forgiving Eagle Farm surface tomorrow in the Tab Open Handicap (1200m). SAINT PATRICKS DAY will be looking to continue his consistent form after a last-start second in the Ballina Cup (1600m), while CHAMP ELECT returns after a two-month break since the Listed Fillies and Mares Classic in November. Two-year-old CENTREFIRE is first emergency in the QTIS 2YO Hcp (1000m) and if she gains a run, it will mark her second career start after debuting on a heavy track in October as an early two-year-old. Meanwhile, SATYRICON lines up at the Gold Coast tomorrow, dropping back in grade to a Class 1 Handicap and looking to improve on her recent runs since resuming. TRAINER COMMENTS: "She is the first emergency so at this stage we won't know until the morning whether she will get a run. She's drawn well and she is a filly that I've got a lot of time for and it looks a nice race to kick her off in if she does gain a start." TRAINER COMMENTS: "He had no luck at the Gold Coast last start on Magic Millions day after a nice win at Eagle Farm the start prior. He is going well and is very fit now for this." TRAINER COMMENTS: "She's very well placed after coming off a nice couple of runs. I think the 3 weeks between runs has done her the world of good and her work has been sharp so fingers crossed she can get the right from the draw and if so, she'll be hard to beat." TRAINER COMMENTS: "He's drawn the ideal barrier which will suit him right down to the ground. Up to the 1800m is getting into unchartered territory but his work has been very solid and he's very fit, so if he's ever going to run a trip like this, he'll do it now." TRAINER COMMENTS: "She is returning from a setback and has trialled well leading into tomorrow." TRAINER COMMENTS: "She is going better than what her first couple of runs have suggested so from the good draw, I'd like to see her hitting the line nicely."